In this time we now live, Sashoya Shoya Oya, is an artist who channels her voice through the medium of oral-storytelling within the realm of folklore traditions. Growing up as a child in Dalvey, St. Thomas, Jamaica she was often surrounded by dances such as Quadrille, Maypole, Dinki Mini, the spiritual practice of Kumina, and many more alongside folk songs and the heart-filled anansi stories of Louise Bennett-Coverley. Looking back, she remembers the everyday stories and proverbs told to her by her grandmother, mother, aunts and people of her district. At the time, such things were common place, so the thought of story-telling being a major part of her future career was nonexistent. 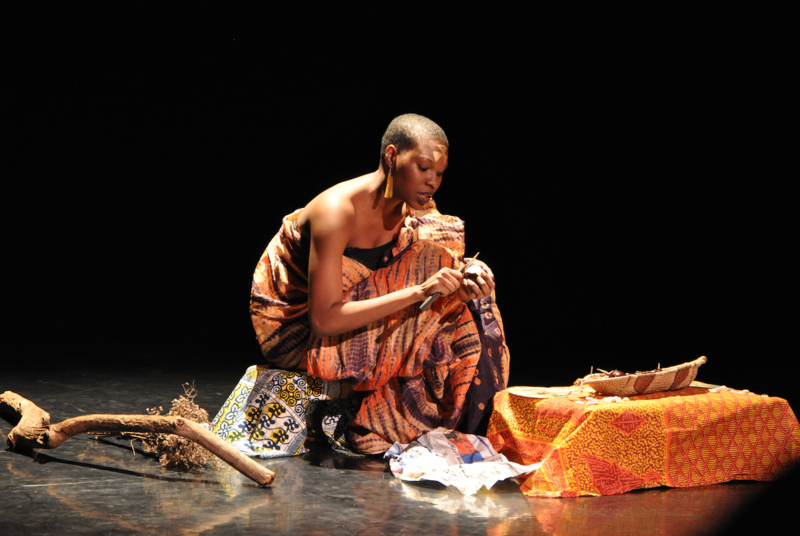 Sashoya came to Canada in 2004, and in 2008, her last year of high school, she became a member of Nomanzland, a community theatre collective based in Jane and Finch. She was with Nomanzland for 6 years before she went to participate in the Artist Mentoring Youth Project (AMY) which then transitioned her to study theatre at York University. While at York, her views of the theatre world expanded but she was still in search for the lense of learning where she could be all of who she is. In 2014, she came across an audition notice for The Watah Theatre, founded by d’bi young anitafrika and from then on she has been mentored under d’bi’s tutelage. She is currently the Associate Artistic Director of The Watah Theatre and her learning has been through the Anitafrika Method using the Sorplusi principles. As she answered the questions each principle provided, she started uncovering her childhood memories and events which had been laying dormant inside of her. It was here that her love of oral-storytelling was revived. With it’s revival Sashoya looked around and realized that the folklore she grew up with was not as alive as it once was. When she thinks about Sankofa, she thinks about the youths of Caribbean descent here in Canada who do not have immediate access to such artistic and cultural history. 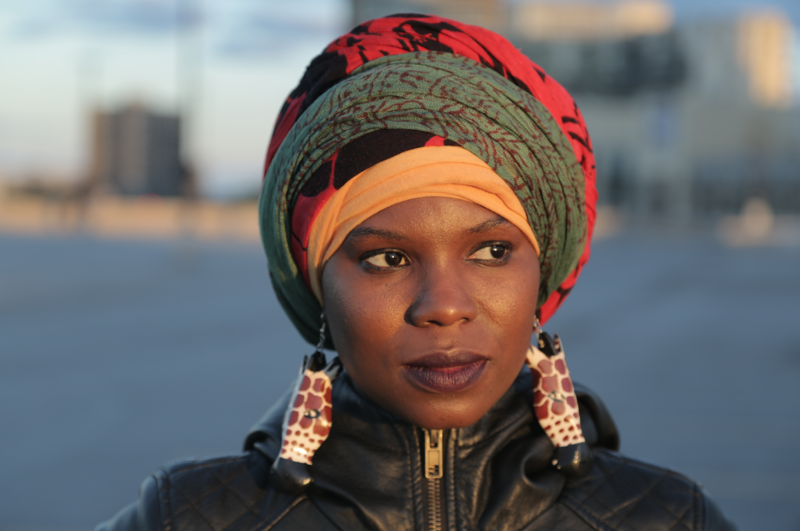 This thought led her to create The Walking Griot, a storytelling guild with the goal of teaching and passing on this knowledge through workshops and programs using various artistic mediums. In Spring 2017, the guild was launched with a 8-week Folklore Theatre Program funded by ArtReach & Toronto Arts Council and she’s currently developing a few other programs and workshops. Her plays and poetry have been published in Black Solo I & 2 and From The Root Zine. She was nominated as an Emerging Artist finalists for the 2017 Premier’s Excellence in the Arts Award and recently performed in Barbados at Carifesta XIII as a representative of the Canadian-Caribbean Contingent and appeared in the award-winning play LUKUMI by d’bi young anitafrika. 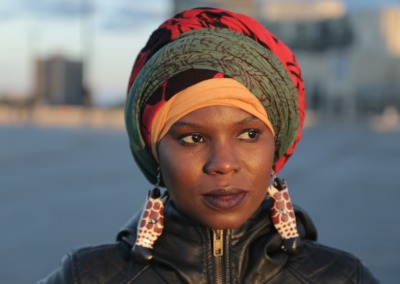 She’ll be presenting a workshop of her play Black MOon in June 2018 and coming soon she’ll be launching 30 Days of Storytelling, a project by The Walking Griot which will feature 1-story a day for 30 straight days. In November, Sashoya was one of six facilitators at Next Stages – a six-part theatre-focused ESL program for youth. This initiative was funded by Art Reach and TAC; presented in partnership with North York Arts; and supported by Cono Ser, Teach 2 Learn, and Casa Maiz.